The Wagner Circle is a philanthropic initiative that brings together Wagner lovers for a series of exclusive events each Season. 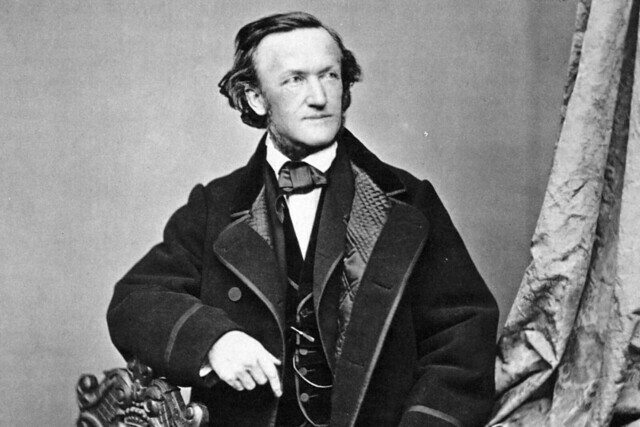 Whether stage-focused, musical or philosophical, these events serve to deepen our knowledge and enjoyment of the works of Richard Wagner, an extraordinary composer who captures the imagination like no other. In the 2018-19 Season, the Wagner Circle will support Keith Warner’s revival of his stunning staging of Wagner’s Der Ring des Nibelungen under the baton of Maestro Antonio Pappano. We would be delighted to involve you more deeply in The Royal Opera’s rich history of presenting remarkable Wagner productions. In this rehearsal the artists will be seated at the front of the stage, in front of the safety curtain and will work through the score with the full orchestra. The conductor will focus on singing technique and balancing the orchestra. Supporters are invited to come together for pre-performance and interval receptions with a welcome from the creative team. Following the performances, celebrate with the international cast and members of The Royal Opera at an informal supper*. An evening in a private London home in the company Nina Stemme and John Lundgren who are singing two of opera’s most famous roles, Brünnhilde and Wotan, in association with the Contemporary Music Circle. A pre-performance discussion with the composer of The Monstrous Child*, a new opera drawing on characters from the Norse myths which inspired Wagner’s Der Ring des Nibelungen. This will be followed by interval and post-performance receptions. *Access to rehearsals is at the discretion of The Royal Opera and the conductor and may change at short notice; alternative dates will be offered where possible. If you have any questions regarding the 2018/19 Season Wagner Circle Events, please do contact David Brownlie-Marshall on +44 (0)207 212 9448 or by email to david.brownlie-marshall@roh.org.uk.